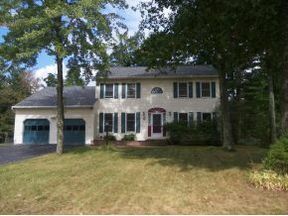 This great colonial is situated on a cul-de-sac street in a convieniently located neighborhood. Hardwood, tile & carpet line the many rooms in this home. This is a move in ready home that has been well maintained and offers something for everyone. Enjoy a large backyard, sidewalks on the streets and the shade of the oak trees.